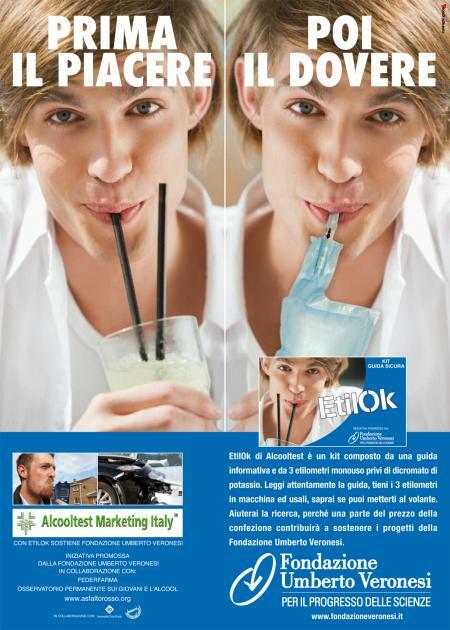 EtilOk is a joint initiative by Fondazione Veronesi and Federfarma, realized thanks to the support of our company and intended to raise awareness amongst young generations on moderate alcohol consumption. 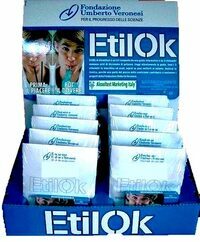 Etilok is a kit containing 3 single use breath alcohol testers (without chromium) and a Guide written by the Italian Permanent Observatory on Youth and Alcohol (in collaboration with Umberto Veronesi Foundation). An important part of funds deriving from the selling of this kit will finance Veronesi Foundation Research Study Grants. "Young generations are our future, an irreplaceable resourse for our Country that needs to be sustained, protected, helped in their long and complex path of growth." Those words by Prof. Veronesi well-represent the commitment of Science towards prevention and education activities aimed at this young age group. Etilok initiatives was born in this context.